Gum dichromate photographic prints using coffee grounds as the pigment. 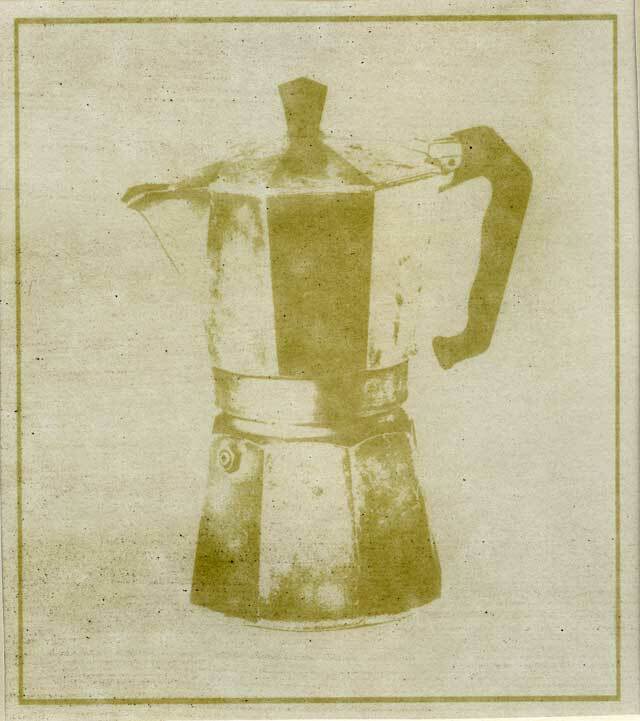 After reading about Fanny Pickard, a photographer active in the 1870s – some of her images in the collection of the University of Glasgow are described as coffee prints – the artist decided to experiment with coffee as the pigment for gum prints. On more research, he discovered that Miss Pickard’s process had relied on the tannin acid in fresh coffee to modify her silver salt images. Thus, a ‘new alternative’ process has possibly been created. The imagery is all about the technology for making coffee.